Looking for Stock charting software? See an extensive list of charting software packages, Chart software for Macintosh, and plugin trading systems used by traders for the Technical Analysis and trading of Stocks & Options in the Stock Market, as well as Futures, Commodities and Forex (foreign currency exchange). See the main features of each with links to the vendor. What is the best Stock Chart Software? You can find a list of chart software below, with information about each and some user reviews. Also a List of chart software for Macintosh here. Each package is unique, with strengths in some areas - and sometimes weaknesses in others because they specialize in certain types of technical analysis or trading style and not others. Of course, each trader has unique needs and will probably develop a unique trading style as well, so you will need to assess the suitability of any chart software or trading system based on your own requirements. We hope we provide our visitors with enough information to help make that choice. Most chart software can produce charts of all financial instruments as long as you have an appropriate supply of data from a data vendor. We recommend you run the chart software on the fastest computer with the most amount of RAM and fastest internet connection that you can afford. Of course you will also need an account with a Broker to be able to trade whichever instrument you choose. As prices for market products (stocks, futures etc.) change over time, the prices and other information about the product (including the volume traded, total volume of contracts, or the number of short positions versus the number of long positions etc.) can be charted in a graphical form. These charts form repeatable patterns, and provide other information that can be used to form an opinion about the future direction of price movement. Traders use this information to increase their chances of making a profitable trade (and exiting before profits are given back!). The study of this graphical information is called Technical Analysis. From our Bookstore for Traders. How can I learn to trade the Stock market? Stocks always go up, right? Of course these days we know better than that. We need to know how to pick a stock (or other tradeable instrument) out of the vast array of choices. How do we choose what..... AND when? We need lessons and coaching! First we learn how the markets work, the different styles of trading (hint: there are MANY styles) until we find the one style that suites us. After we have our charting software and supply of market data, we can try some trades “on paper” so we don’t risk any real money. Then after we gain enough confidence we can open an account with a broker and start trading with SMALL amounts of money we can afford to lose in case things go wrong before we put any large amounts on the line. Note that some Brokers offer practice accounts where you can place trades, but not risk any real money. Ask if your Broker offers that service. Finally, remember even the world’s great golfers and tennis players continue to have a coach even after they are at the top. Coaching helps! Look here for a list of Trading Trainers and Trading Coaches. Learn To Trade with INO TV! - For FREE! Hello and welcome to INO TV. My name is Adam Hewison and we created this exciting new learning platform to share with you proven trading concepts. I strongly believe that by watching and absorbing the ideas presented in these videos, you WILL achieve your financial goals in the future. So choose a video, kick off your shoes, sit back and enjoy. • Free daily market commentary. INO TV is a free resource for every type of trader who may follow gold, silver, crude oil, dow, dollar index, S&P, penny stock, mid-cap stocks and blue chip stocks. Note from the Webmaster: I personally use this service and I think it is great! If you are a software developer and you would like your product listed here, or you are a visitor and know a product that SHOULD be listed here, contact us. Listing is free. If you are a software user please send us a review of your favorite software. Please note: We do not necessarily endorse ANY contacts listed here. They are listed for your information only. You should investigate them fully before sending any money. Software listing is in alphabetical order. eSignal - A leading provider of affordable, reliable, real-time financial market information and professional-level tools, delivered to PCs, laptops, PDAs and smart phones. www.eSignal.com See the eSignal Review. For Chart Systems and Plugin Software, click here. 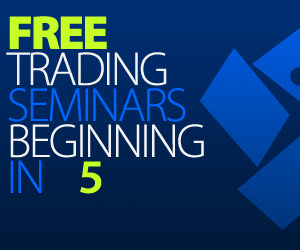 Learn to trade forex in 90 seconds!